Get away beef jerky, here comes the fish jerky! Ta-da! Sorry to beef jerky lovers! 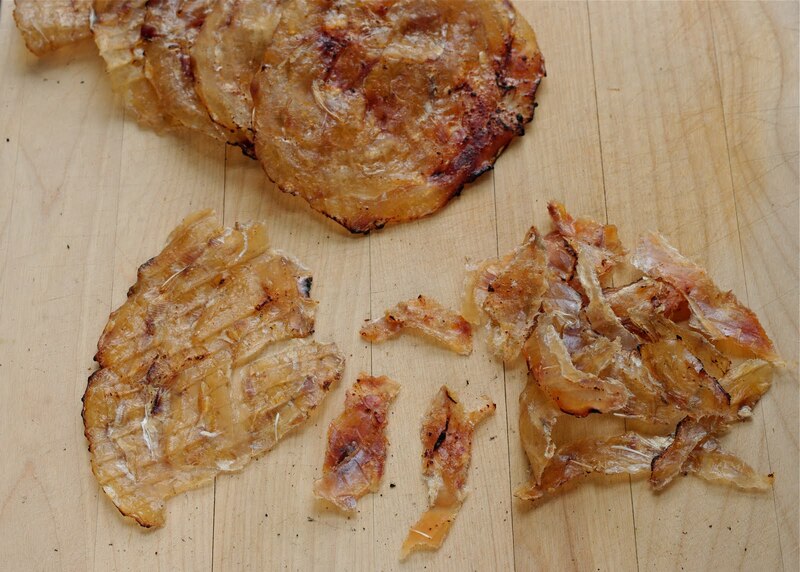 I don’t mean to be rude but you need to try this fish jerky if you like fish. 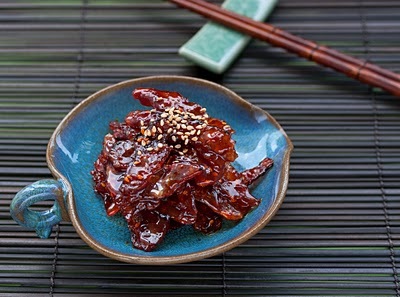 I love Korean fish jerky (Juipo 쥐포). 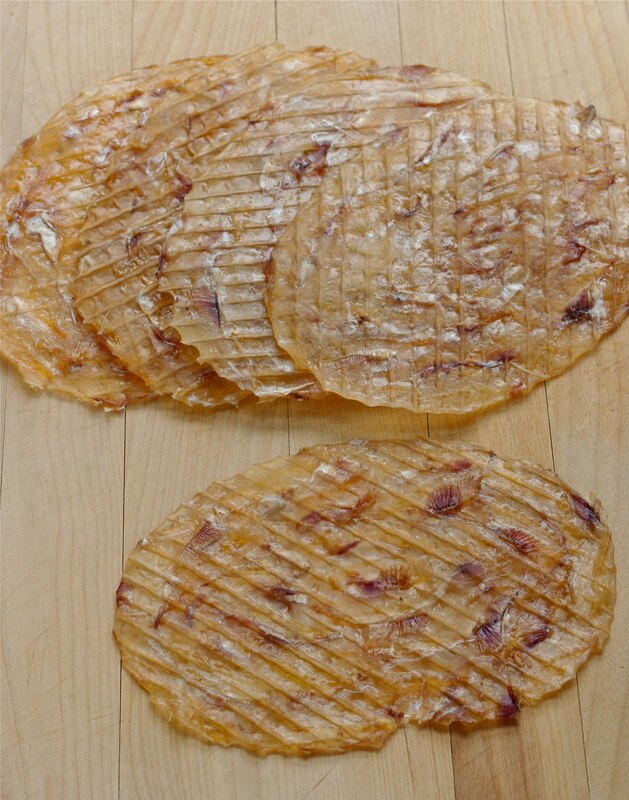 These salty, sweet, chewy jerky were always big hit in every Korean kid’s lunch box (Doshirak, 도시락) as I was growing up. Our Doshirak(lunch box) in the late 70th through 80th was very simple. Mostly made with aluminum material, comes in oval or rectangular in shape, 2/3 of the space was filled with rice and the 1/3 was for Banchan(side dihses). 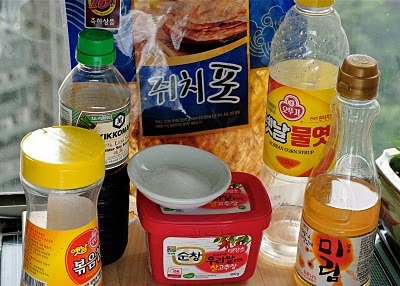 The most common Banchan was egg roll, sherreded cuttlefish(Ojinguh) in spicy sauce, mini patties made with chicken or beef, and this fish jerky(Juipo). Lunch time was our happy hour at school. We didn’t have cafeteria or any vending machine to buy food/snack at school those days. As soon as the lunch bell rings we all take out our doshirak from our bag and put on our desk. Usually 4-6 kids got together and shared lunch on the same desk, which means we shared our doshirak to taste each one’s Banchan. It was so much fun to share and got connected with each other through food. I often got lots of compliments from my friends how my Banchan tasted so good. 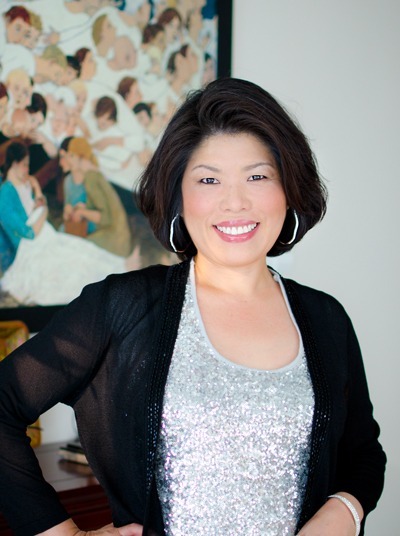 My mother was an excellent cook and I am so glad that I learned many skills from her. 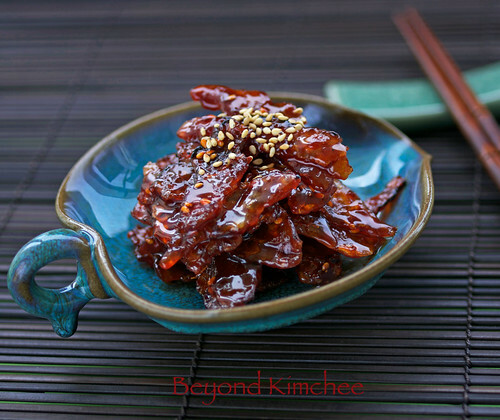 I would like to show you how I make Korean fish jerky in spicy sauce. 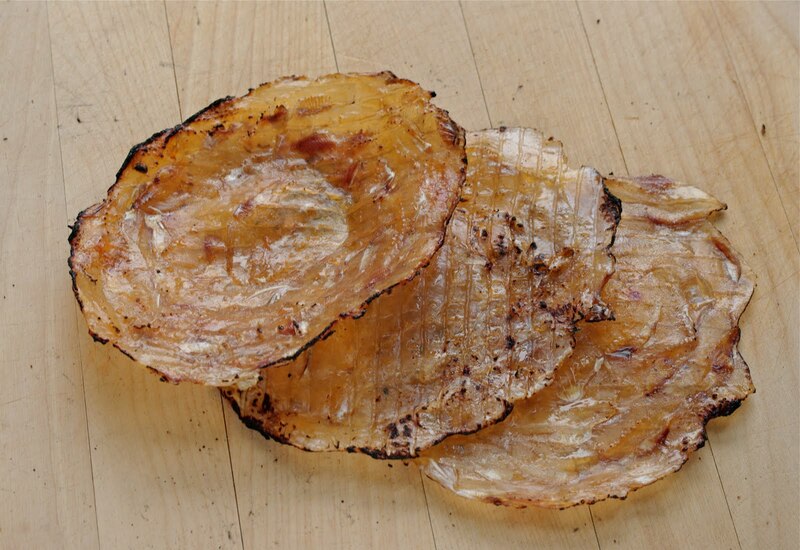 Juipo is made from the seasoned, dried, and then pressed file fish called Juichi(쥐치). 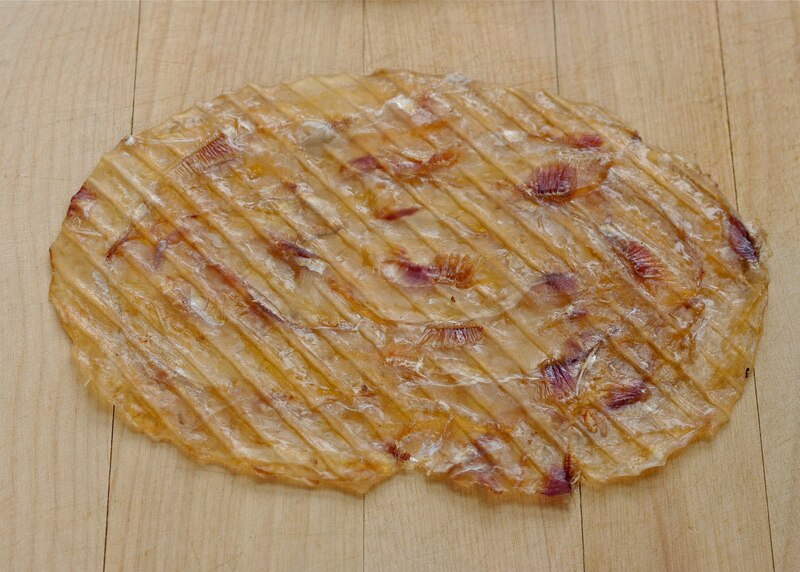 Here is the picture of the Juipo, the fish jerky of Korea. Usually they come in a pack of 10. I can find the dinosaur fossils here. Do you see it? Well, actually they are eatable fish bones. Grossed out? Hey! it’s all calcium. Good for you, right? 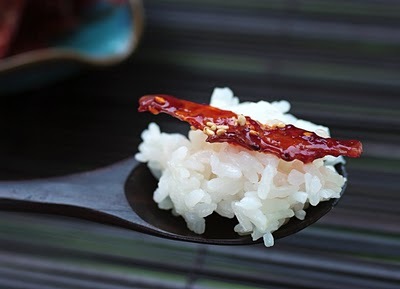 Juipo, red chili paste (Korean of course), soy sauce, sugar, sweetened rice wine, corn syrup, and sesame seeds. There is one more item missing in this group but I will show you later. 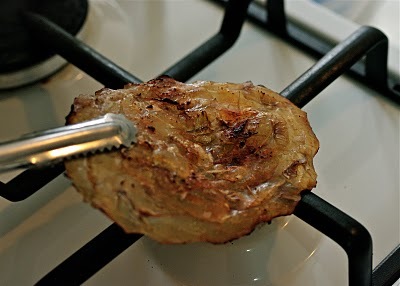 First roast your Juipo over low flame on stove top until it gets curled up and the edge gets browned, about 10 seconds each sides. It will look like this after roasting. You will love the smell! Do not over roast them unless you have the jaw of Jaws, the shark! They will get tough by over roasting. Let them cool and tear them into bite sizes. Pop one piece in you mouth and chew it. You will love it. but can’t handle the spicy sauce yet. They are good to eat the way they are as a snack like beef jerky. In a pan combine Korean chili paste, soy sauce, sugar, and the sweetened rice wine. Now this is the ingredient I need to add. What is this? You won’t taste it at all in the dish but make so much difference in the over all flavor. It also softens the fish as well. 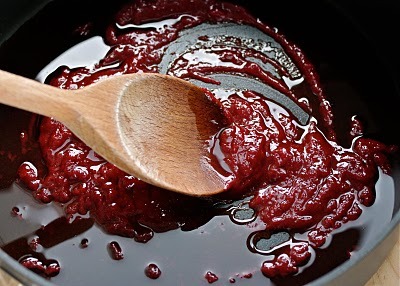 Add it to the pan and mix well to incorporate with sauce. Bring the sauce to a full boil until it thickens. Remove pan from the heat. 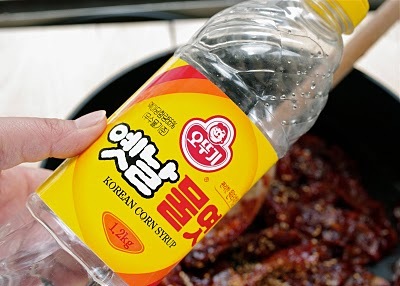 Add the Juipo pieces to the sauce and mix well. Add a little Korean corn syrup, or any light corn syrup to the mixture. 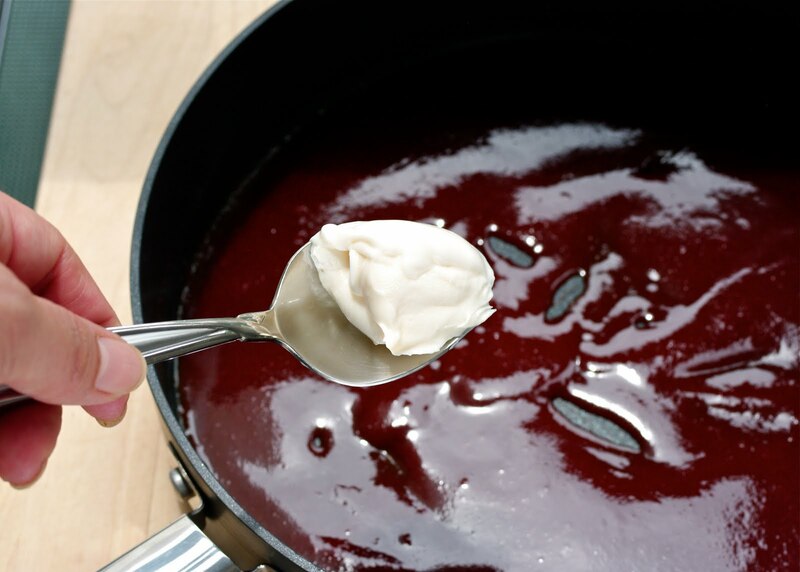 This will add nice shine to the dish but you don’t have to. Simply with rice, what else? but mine never get lasted more than 3 days. Because I always took some out to eat with my leftover rice in the middle of the night. …now you just discovered my weakness. 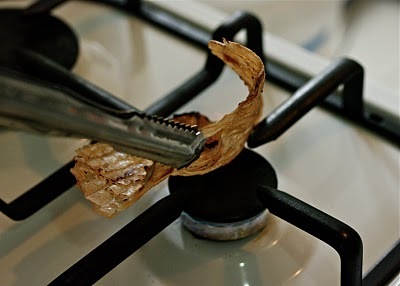 Roast the fish over the low flame on the stove until it gets curled up and the edge gets browned, about 10 seconds on each side. Cool them down a bit and tear them off to bite sizes. Set aside. In a non stick pan combine chili paste, soy sauce, rice wine, sugar, and mayonnaise to make sauce. Mix well. Bring the sauce to a full boil until it thickens. Remove the pan from heat. Add the fish and mix well. 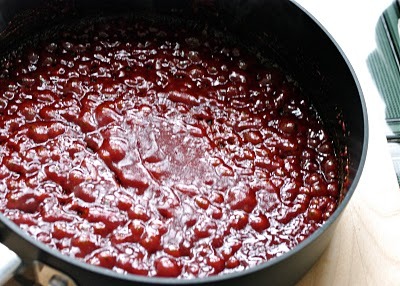 Add corn syrup to bring the more shine if you like. Sprinkle some sesame seeds on top. 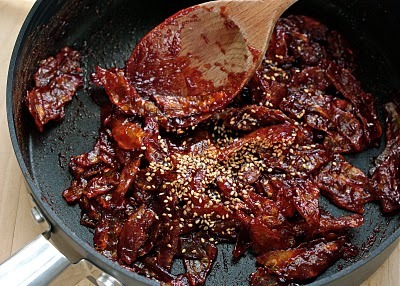 « Korean Beef & Nut Patties, the Dduk-Galbi will drive you nuts! Awesome!!! I have tasted some Korean dishes and I really love it. Maybe I could cook on my own. I guess I'll try this one coz it looks delicious. Thanks for this. Thanks for visiting my blog. 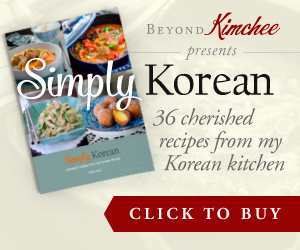 People says that once you get hooked on to Korean food you get addicted. Hope you like the recipe. Oh I love this! I didnt know how much I missed this until today. Thanks for sharing this recipe,I'm going to try and make this real soon. Awesome!!! I have tasted some Korean dishes and I really love it. Maybe I could cook on my own. I guess I'll try this one coz it looks delicious. Thanks for the share, i really like your blog. Well, I could cook on my own, I guess I'll try this one coz it looks delicious. Thanks for this. Well. Its looking great! I didn't know how much I missed this until today. Thanks for sharing this recipe. I learned this terrific version of fish jerky while fishing with Slim in Utah.. It comes out tender, flaky, and moist.. The flavor is superb. Is this Juipo or crisp? Well, Its looking good I will try it sometime. thanks for the share. Well, Asian style red snapper fish jerky is a wonderful treat for those who love fish jerky. Thanks for sharing. wow..Looks so yummy. I love fish anyway. I am curious on how it really taste like. :).Korean dishes are really unique. I know fish is a very healthy meat to eat as it has almost all protien, very few calories, and has the omega 3's. But when it goes through the process of becoming Jerky does that make it unhealthy or no? I was looking at the tuna and salmon jerky but cant find any health info on it. Thanks. 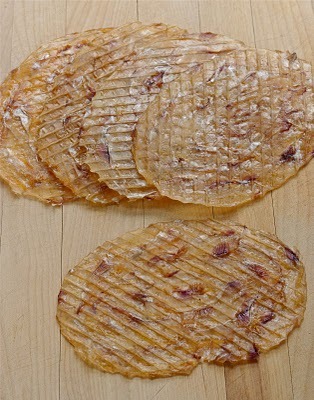 Dried fish jerky, such as Korean Juipo, has same amount of protein as beef within same volume but with very low in fat. It is good for you if you want to avoid fat but increase protein. 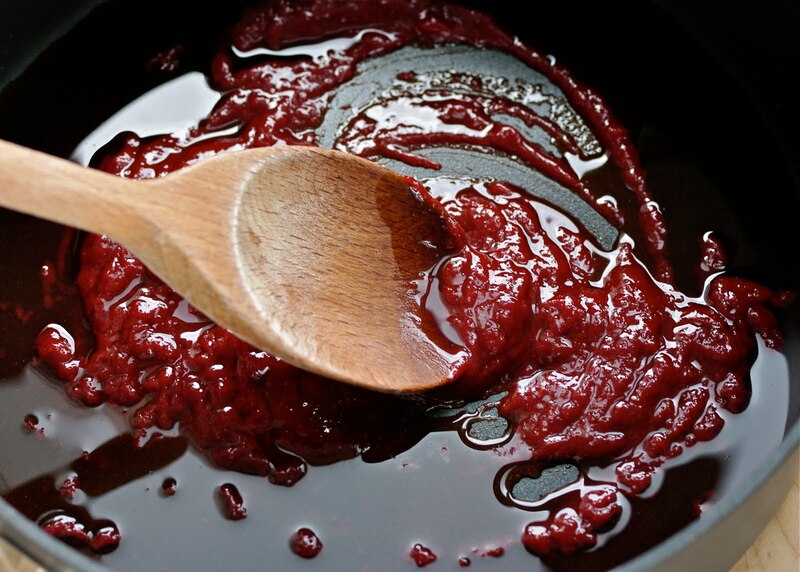 However since they are soaked in sugar, salt and other acids to add more flavor before drying process you might need to count on sodium intake. I think the same process goes with other types of jerky(beef, salmon etc) as well. Some people make their own fish jerky without adding any sugar or salt by drying them naturally under the sun directly. Those fishes are more for soups and other types of dishes that requires sodium added on later but not for eating the way they are since they will be fishy. Hope this helps. Its looking Nice, Pictures are Awesome! I will make this at home. Anyways, Nice sharing!! This turned out much better than I thought it would. However, we used ground meat and let it marinate for almost 24 hrs(or basically "soak" up the marinade). Hi Kelsey I think you can directly roast over electric burner over high heat since they are dried and won't leak any liquid. I've never tried in the oven myself so I can't assure you how it will turn out. 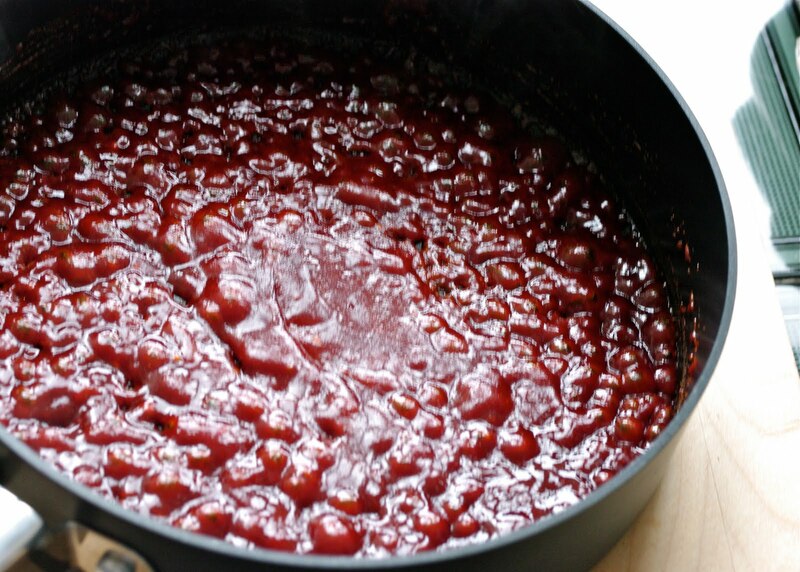 Some people skip roasting part and soak them in the warm water for 1-2 minutes instead, then, towel dry, and tear before they add to the sauce. That will make very soft and tender Juipo dish than roasted one.